Save yourself hours of scripting active directory reports. 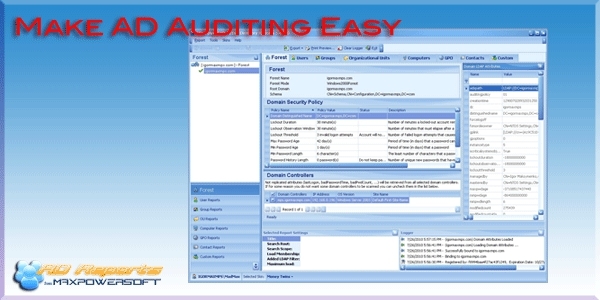 AD Reports comes with more than 300 reports to fulfill your Active Directory audits. Run complex SOX (Sarbanes–Oxley) auditing reports on your Windows Server Domain installations in as little as 2 clicks! Our internal data gathering engine has been polished and bench-marked against the competitors. Try it and see immediate results when the competitors seem to lag. AD Reports was built around an intuitive easy to use user interface. 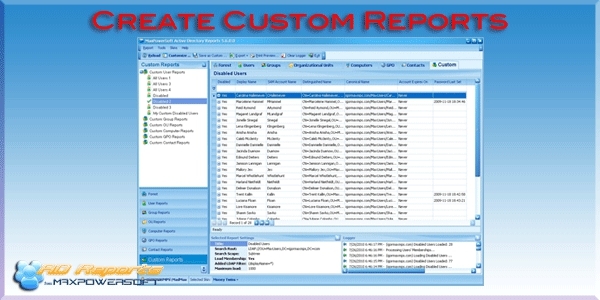 Update any existing or create your own custom reports. 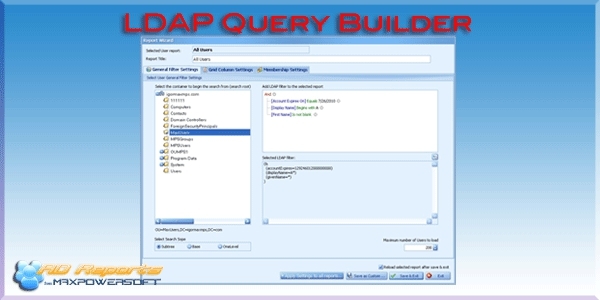 Include predefined or any Active Directory LDAP attribute and build your own LDAP filter. Accurately reports real time information of your Active Directory Servers. It is the most accurate on the market. In a multi-domain controller environment simply compare our results to any of the competitors. Schedule your reports at a specific time or on a continuous basis at intervals of hours, days, weeks or months. Select only domain controllers you want to scan. AD Reports automatically excludes inaccessible domain controllers from scanning for better performance. Locate AD Servers that are not responding effectively in your domain. 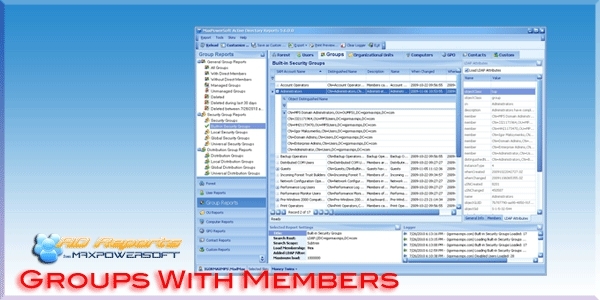 Load direct and nested members. 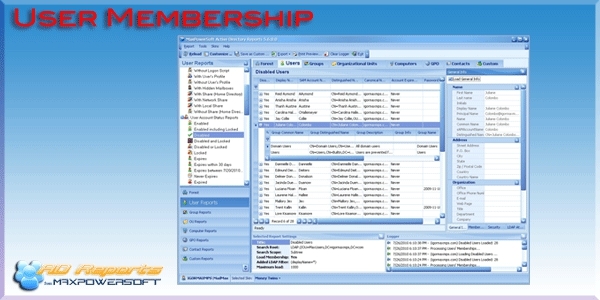 Include nested group name and primary membership. Translate Foreign Security principals into NT Account name. Simply stated, if you have administrator rights on your computer and are able to see the domain, our product just works. No messy database setup, no MSMQ problems, no bloated web server setup. We built everything internal and no we don't use a web server. Ask us questions, make requests for changes, we are here for you and we pride ourselves on quick turnaround.